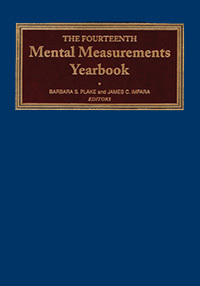 The cornerstone of the Buros Center's publishing activities is the Mental Measurements Yearbook (MMY) series. The MMY includes timely, consumer-oriented test reviews, providing evaluative information to promote and encourage informed test selection. Typical MMY test entries include descriptive information, two professional reviews, and reviewer references. 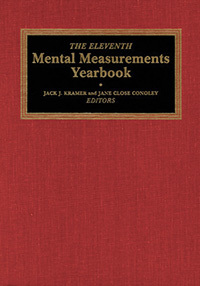 To be reviewed in the MMY a test must be commercially available, be published in the English language, and be new, revised, or widely used since it last appeared in the MMY series. 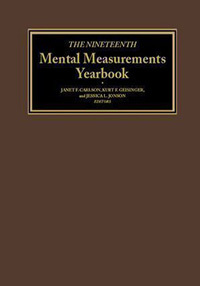 Beginning in The Fourteenth Mental Measurements Yearbook, tests also must include sufficient documentation supporting their technical quality to meet criteria for review. 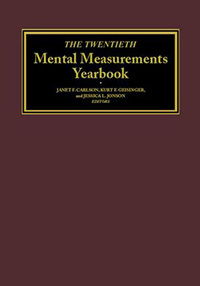 Volumes in the MMY series are produced every three years. Find citation information here. 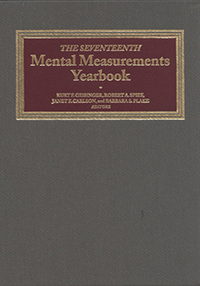 Edited by Janet F. Carlson, Kurt F. Geisinger, and Jessica L. Jonson, 2017. 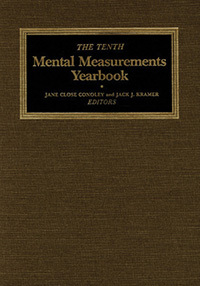 Edited by Janet F. Carlson, Kurt F. Geisinger, and Jessica L. Jonson, 2014. 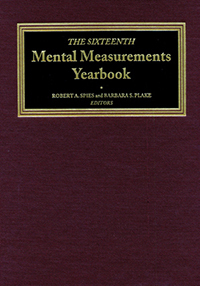 Edited by Robert A. Spies, Janet F. Carlson, and Kurt F. Geisinger, 2010. 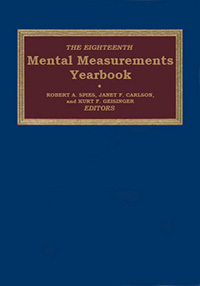 Edited by Kurt F. Geisinger, Robert A. Spies, Janet F. Carlson, and Barbara S. Plake, 2007. 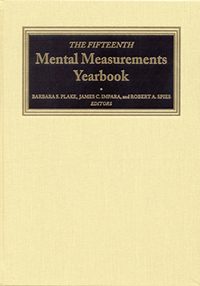 Edited by Robert A. Spies and Barbara S. Plake, 2005. 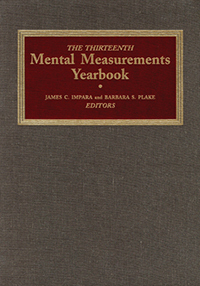 Edited by Barbara S. Plake, James C. Impara, Robert A. Spies, 2003. 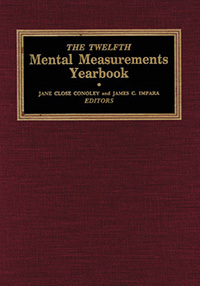 Edited by Barbara S. Plake and James C. Impara, 2001. 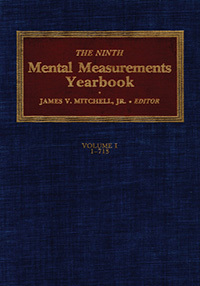 Edited by James C. Impara and Barbara S. Plake, 1998. Edited by Oscar K. Buros, 1972. Hardbound, ISBN 978-0-910674-11-9. Edited by Oscar K. Buros, 1965. Hardbound, ISBN 978-0-910674-06-5. $75.00. Edited by Oscar K. Buros, 1959. Hardbound, ISBN 978-0-910674-05-8. Edited by Oscar K. Buros, 1953. Hardbound, ISBN 978-0-910674-04-1. Edited by Oscar K. Buros, 1949. Hardbound, ISBN 978-0-910674-03-4. Edited by Oscar K. Buros, 1941. Hardbound, ISBN 978-0-910674-13-3. Edited by Oscar K. Buros, 1938. Hardbound, ISBN 978-0-910674-12-6.